Thrilling and exciting picture set the city of Salamanca , Spain , where in a public square takes place extraordinary events . US President Henry Ashton (William Hurt) is in Salamanca, Spain , accompanied by his security agents (Matthew Fox and Dennis Quaid as agent newly returned from previous wounds) , for a world summit where an international treaty dealing with the fight against global terrorism will be signed and which was highly promoted by the USA . Then an unknown sniper is able to shoot him and a bomb goes off in the square and it causes panic , destruction , mass confusion and hysteria . Meanwhile , TV Executive Rex Brooks (Sigourney Weaver whose role was originally written as a male but filmmaker changed it to a woman because he felt the movie lacked a strong female character) is shooting the surprising deeds . The attempted assassination of the American President is told and re-told from several different perspectives , as from a tourist (in the original screenplay, the tourist was a Russian , as when Forest Whitaker auditioned for a different role, filmmaker was so impressed that he rewrote as an American tourist) or a Spanish police (Eduardo Noriega) o terrorists (Edgar Ramirez ,Saïd Taghmaoui , Ayelet Zurer) and fourth is the president himself . At the end new vantage point is shown revealing additional details, which definitively completes the flick of what really took place during the incident and who was involved in the conspiracy. Stirring as well as exciting film packs noisy action , thrills , suspense , explosions , violence , twits and turns . Thrilling film with a peculiar edition narrated under several sight points , as various minutes are retold, emphasizing different characters' actions and gradually, we discover who's behind the script . The studio originally wanted to shoot the entire film in Salamanca, Spain, but the local government refused to close the Plaza Mayor for nearly 3 months and only the scenes filmed from the air were shot in Spain , as production was moved to Cuernavaca and Puebla, Mexico . Nevertheless , Matthew Fox, Eduardo Noriega, Forest Whitaker and director Pete Travis attended the premiere, held in Salamanca, Spain, on February 12, 2008 and City Hall declared them "Distinguished Guests". The original script set the story in Madrid, but the producers wanted a more "exotic" location. 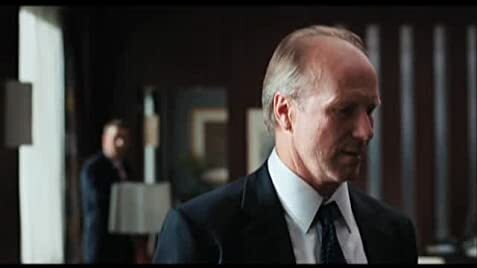 The fact is revealed in some scenes, like the secret service guy who says they can't locate a single person among "5 or 6 million" (Madrid's population; Salamanca's is much smaller), or when the cop enters a Muslim neighborhood during the foot chase , as Madrid has one, but Salamanca doesn't . Very good production design by Brigitte Boch , when shooting was moved to Mexico, the production design team built a replica of Salamanca's Plaza Mayor, which is slightly smaller than the original . There happens an impressive explosion on the Plaza , it was filmed by fifteen different cameras under direction of excellent photographer Amir Mokri who makes a colorful and evocative cinematography . Moving and adequate Original Music by Atli Örvarsson . The motion picture was compellingly directed by Pete Travis . He is a director and writer, known for Dredd (2012) , Omagh (2004) , End game (2008) , TV Henry VIII (2003) and Falcón (TV Series) 2012 , set in Sevilla , Spain . 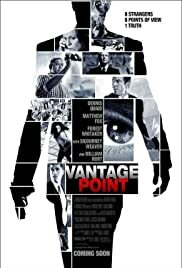 The precocious technical mastery displayed by Peter Travis in ¨Vantage Point¨ is magnificent and he delivers narrative fluidity , being helped by a splendid editor , Stuart Baird , both of whom carry out a complex story paced from multiple viewpoints . Rating : 7 . Interesting action film and it will appeal to thriller fans .